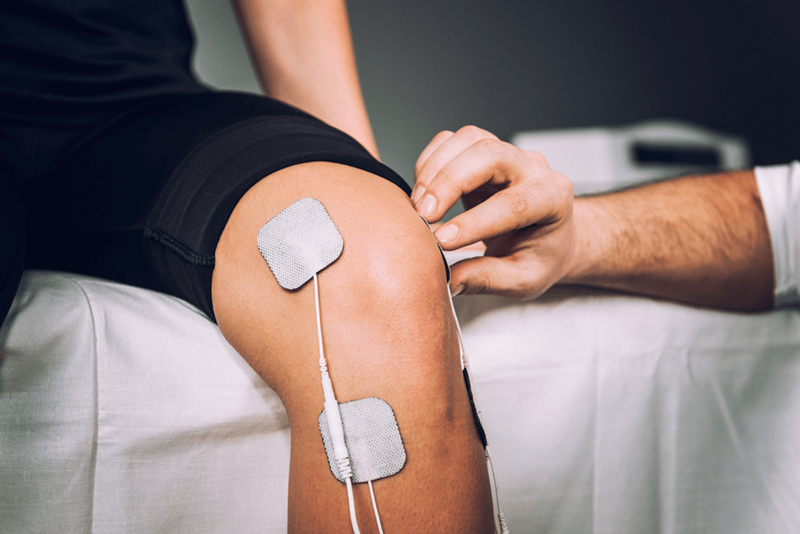 One of our beneficial treatment options is electrical stimulation. It is a physical therapy treatment where an electrical current is used to cause a single muscle or a group of muscles to contract. This helps strengthen injured muscles and promote healing. The impulses are generated by a device and delivered through electrodes on the skin next to the muscle needing stimulation. This treatment is also effective in strength training for athletes and rehabilitating partially or totally immobilized patients.